A few weeks back this blog was nominated for a Liebster Award by Kraut Scientist over at Eternal Hunt. Thanks, it’s very kind! 2. display the award on your. I don’t like the ocean or the beach. I once met a now dead Beatle. Hobbies are always better when you share them with like minded people. Thus this blog. It’s just an excuse to share what I’ve done in the hope that others find it interesting and to put my stuff out there and see what happens. You should create a FaceBook group for your friends and show them what you are hobbying at the moment. Go do it now! Hobbyists have a tendency to become self-recursive. Repeating the same thing over and over again with only slightly different results. Painting model after model in a similar way, using a similar pallete of colours and the same techniques. I try to do things differently sometimes. That’s one of the reasons I did (and will do again) my Inq28 stuff in the “Blanche” style. I don’t really care for computer games. I play things sometimes but only ever for a few days before going back to hobby on my down time. I like the look and idea of them but, somehow, they don’t hold my attention. My grand parents ran a cinema. As a child they let me see The Dark Crystal and Indiana Jones and The Temple of Doom. Alone. In the dark. The Dark Crystal still terrorfies me. If I could I’d eat nothing but ice cream. I sometimes imagine myself as a white-bearded old man pottering around a huge games room with wall to wall display cabnets and a 6x18’ games table. I know that I’m a life-long hobbyist. Toy soldiers forever! Hobbyists have a tendency to become self-recursive. Repeating the same thing over and over again with only slightly different results. Painting model after model in a similar way, using a similar pallete of colours and the same techniques. Variety is the spice of life and the toy soldier hobby is vibrant enough that you can always be trying new things and learning. Enthuisam is more important than skill or technique. And more interesting. 1) Warhammer 40k or Warhammer Fantasy Battles? If I had to choose it would be 40k. It would be a tough choice though. The darkness is the thing I like and that covers both universes. I know that grim-dark is a bit of a joke to those on the outside of our obsession but that’s the thing that keeps involved. It’s not the clean, and less interesting, worlds of Star Wars or Lord Of The Rings. Both of those, reguardless of their depth, could not keep my interest. 2) Who’s your favourite miniature sculptor? Brian Nelson. He’s consistently made fantastic models over the better part of twenty years and I love his way with detail and pose. Buy the very best gear. Buy Windsor & Newton brushes. Get a proper day light lamp (ott-lite etc). 4) Who’s your favourite author? William Gibson. Nobody writes like him. Nobody. 5) What’s your favourite Traitor Legion? The Black Legion. What’s not to like about ten thousand years of hate? 6) Which Ordo of the Inquisition would you belong to? 7) Which army would you never start and why? Orks. That way lies madness. 8) Which is the most important part of the hobby for you? Modeling and painting. It’s the part I do the most and I really enjoy. 9) Your favourite band or musician? The name of this blog is a reference to an Opeth song, so that gives you an idea of what I like. I’d add, in no particular order, Kyuss, Queens Of The Stone Age, Mastodon, Baroness, Cult of Luna, Isis, Intronaut, Devin Townsend, Amon Amarth, The Sword. In short \m/ I’m sure there are plenty I’ve missed. 10) Which is the most spectacular conversion/kitbash you would like to do, provided you had the bitz? I have no idea. Maybe a reaver titan to use as terrain. Think of the cool games you could play around a fallen, ruined titan! 11) What was the best moment in your hobby life? a) In 2009 I happened to be in the UK for Games Day. I have never, and may never again, seen so much hobby goodness in one place. The crowd was huge and enthiastic for all the same thins as me. All of the studio was there (I could of spoken to Mr John Blanche but got all shy. I was worried that I’d just blabber fan-boi nonsense at him) It was awesome! b) In 2007 I won the Australian GW Staff Slayer Sword. Pretty proud of that. Sure, it’s not a real Slayer Sword, and yeah, there are nowhere near as many entries as the non-staff competion, but it still feels damn good to be acknowledged in such a big way. c) I once beat my friend Max in one turn. I’d killed everything he had on the table by the end of my first assult phase. I will say that it was back in the days of the rhino rush and Max took the Eye of Terror Ulthwe list that brought units onto the table through web way portals throughout the game. I have not let Max forget this glorious victory. 1) Why toy soldiers? Why not model cars or bird watching? 2) What would be your ultimate hobby experience? 3) John Blanche or Mark Gibbons? 4) What is the greatest sci-fi book and fantasy book ever written? 5) Have you ever played in a campaign, and how and why did it end? 6) Would you ever or have you ever striped the paint from a model you were painting because you were not happy with it? 7) If you ran your own games company what kind of things would it make? 8) What does your family or partner think of your hobby? 9) If there was one thing you could tell your younger hobby-self what would it be? 10) Is there a part of our hobby that you just can’t get into? For me it’s WWII gaming; I just can’t seem to give a rats. Who the hell would want to play with filthy Nazis? 11) What is your most prized hobby possession? 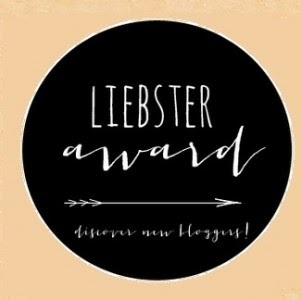 I know that there are not eleven but it's been hard to find eleven blogs that I visit regularly that haven't recently got a Liebster too. Thanks a lot for posting this, mate! Some really insightful answers, and some great questions of your own! And I have never forgotten it. Ever.